When most people think about "web design" they think of the beautiful colors, shapes, their logo, and how it will appeal to visitors. But web design is so much more. Web design is not just about eye candy. Good web design means a smooth flow of information, ease of navigation, useful functionality, and ultimately, to get the visitor where you want them to go. Knowing how to combine all of these elements into a site is the mark of a good web designer. That's why we make our sites clean and well-balanced. No clutter allowed. There are many different ways to develop web sites. 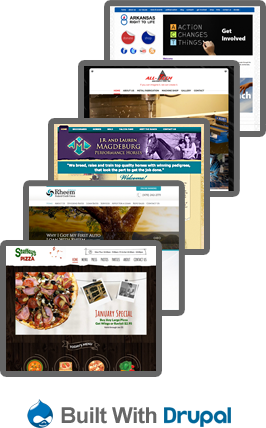 The grandfather of web design platforms is the rugged and mostly reliable HTML site. Add CSS (cascading style sheets) to HTML and you can build some nice web sites. If you need even more functionality, there is PHP scripting used in conjunction with a MySQL database. There are more ways but I think you get the picture. Below are the two primary methods we use develop web sites. Anyone who has ever had a web site has wished they could get something changed or added to their site quickly. Have you ever been to a web site that has something like this: "New Products Coming Spring 2019", and it's already Christmas 2019? Or this: "Why is Tom still on our Staff page? He's been gone for more than a year!" Yes, we have all been there. You don't ever want that to be your web site. Your content needs to be fresh, dynamic, and relevant to your visitors. Imagine having total control over your site's content, being able to update it at will? You don't have to imagine. It is a reality. Content Management Systems (CMS) have changed the face of web design drastically over the past few years. More and more businesses are taking over the day-to-day management of their site content. When important things happen today, you can have them on your site today  without any knowledge of HTML or web site design. What can a CMS give you? Here are just a few examples. Easy to use. A simple, user-friendly interface to keep your content up-to-date. No knowledge required. You won't have to take classes to learn how to use the CMS. Just what you need. The possibilities are virtually endless. Visitors get what they need. Dynamic content helps visitors find what they're looking for. Ecommerce ready. A shopping cart on your web site is an invaluable sales tool. A few standard features. 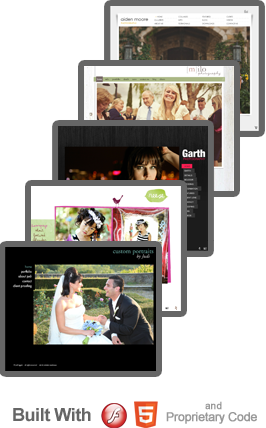 With our CMS, you can choose from several standard features like blogs, photo galleries, image slideshows, video embedding, social networking, and more. Fresh content increases your visibility. A blog is a fantastic way to keep your site fresh. Regular content updates are critical and a CMS lets you update what you want, when you want. Share the workload. We can limit access to different types of content so you don't have to worry about the sales manager deleting the company calendar while trying to add a new sales event. For CMS example sites, visit the Portfolio page and find the sites shown with the Drupal platform. What is a static web site? Basically, everything is hard-coded into the site, as opposed to a dynamic site where various content can be pulled in from a database. While it is becoming less frequent, we occasionally run across situations where a Content Management System isn't the right solution. When is a static web site a more appropriate choice? You need to make infrequent or small, simple changes to your site. Your site is primarily informational, i.e., who you are, what you are, where you are, etc. What advantages can a static web site offer? Generally, a lower start-up cost and shorter development time. The primary disadvantage is you will need to retain a web designer to make your changes. Not everything has to be built from scratch in a static web site. When you host your site with us, we can install a shopping cart system that puts your products online and processes payments through a wide variety of providers such as PayPal, Authorize.net, and others. 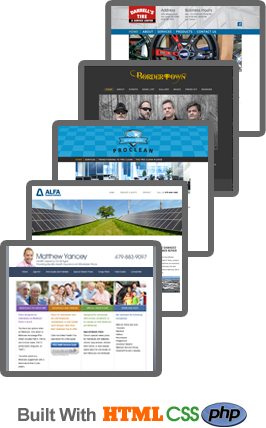 To see examples of static sites, visit the Portfolio page and look for sites with the HTML/CSS/PHP platform. Do I really need a mobile web site? The answer is absolutely 'yes'. Here is a list of reasons why you need a mobile web site. COMPATIBILITY: Most web sites do not work well on a mobile phone. The design either falls apart or they are so small it is impossible to read them unless you enlarge them and then you have to continually scroll left and right as you are reading. Very tedious and cumbersome. Not good. SPEED: Mobile web sites load more quickly. People are very busy and we have been conditioned to have short attention spans. If your web site takes more than a few seconds to load, your visitors are probably leaving your site and moving on to their second choice. DATA USAGE: Many people who use smartphones are paying for their data by how much they use. Don't send them to your full site with large images and scripts that may not even work on a smartphone. Mobile web sites are optimized to get the right data to your visitors without eating their bandwidth. SEARCH ENGINE RANKINGS: Mobile web sites get better mobile search engine rankings. HUGE, GROWING MARKET: It is estimated there are more than 1 billion smartphones in the world. More than half (58%) of American consumers use smartphones. Almost half (46%) browse the Internet on their phones 'several times a day'. One-half of Internet searches for local products and services were done on mobile devices. 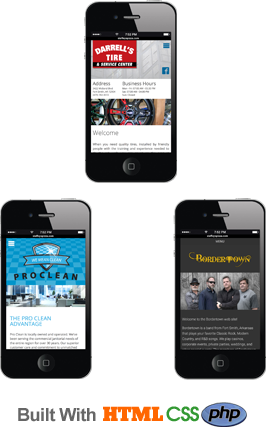 To see examples of mobile sites, visit the Portfolio page and look for sites with the Mobile platform. Photography is art. Look around the web and you will see that sites of professional photographers are almost always stunning well-designed and beautiful. We understand how important it is for your photography to be enhanced and not to be cheapened by a poorly designed web site. The functionality and mechanics of these web sites has already been tested and proven. The time savings translates into money savings. Text sections for pages like About, News, Blog, Information, etc. Showcase your work in a professional web site. or call today for more information and a free estimate. Copyright © 1997-2019 WebSite Warehouse All Rights Reserved Unauthorized use or duplication is prohibited by law.